I love doing comparisons although it takes so much work and time. That is because it helps me make a clear cut decision and I can always come back to update and refer to it. I know these reviews such as comparison of Integrated Shield Plans, diapers and formula milk prices have also benefited many others, which is why I will try to update the figures from time to time. Anyway coconut water is considered a new food trend in Singapore. Many of you would have noticed the multitude of brands of coconut drinks which suddenly crowded a whole section of supermarket. The increased coverage of coconut drinks vs sports drink has made many started drinking this low calories juice, including me. 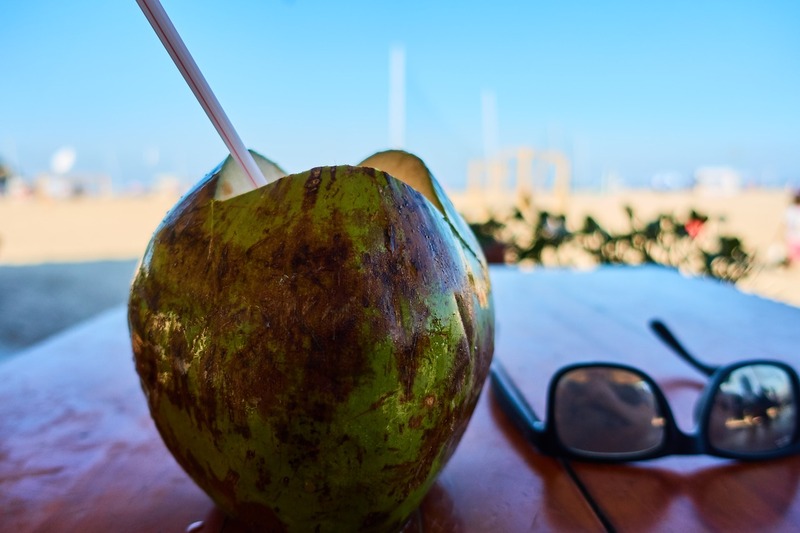 Lesser calories and sugar content: 1 fresh coconut will provide around 200 to 300ml of coconut water and this is approximately 40 calories and 9g of sugar. Comparing it to the same serving of Gatorade which contains around 50 calories and 14g of sugar. It is also great during my pregnancy. I could not drink much water but cold coconut drinks helped in my hydration and I had an easier time drinking them. I has nausea throughout my pregnancy and I do feel that coconut water helped in it too. However, do take note that you should not drink too much coconut water during your first 3 months of pregnancy as they are considered quite 'cooling'. I started buying them in bulk because they were so heavy and my family consumed them quite rapidly. This led me to do a price comparison to see if I can save a few bucks compared to just buying them from retail outlets. Definitely prices will be cheaper when you buy in bulk. 1) All prices are taken off RedMart's website on 1st August 2018. There may be promotions time to time resulting in the fluctuation of prices. 2) I have only compared the prices and sugar content per 100ml because this is the only 2 things I am concerned with. 3) The row highlighted in blue is the price for fresh coconuts. 4) Many pre-packed coconut water has a higher sugar content not because they have secretly added sugar to it. Most time it is because a very concentrated form of coconut water is used, resulting in higher sugar levels per serving. 5) I do not recommend those brands that have additional ingredients highlighted in red because this means there are additional sugar added and not natural sugar only. 6) Brands are sorted based on price. I am buying Wong Coco regularly even before the influx of those new, cool trendy packaging of other brands. Thankfully they are still the cheapest. 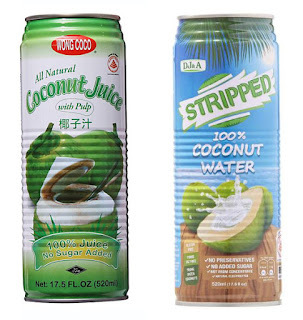 I know some people do not like the pulp in it so you might want to consider Stripped Coconut water instead. I prefer cans to tetrapak, simply because I can finish one can per serving. The opening and resealing of tetrapak is definitely going to cause some difference in taste to the coconut drinks. One other knowledge gained is that I have no idea fresh coconuts are so much more expensive than packaged brands. However, the nutritional contents are also higher. 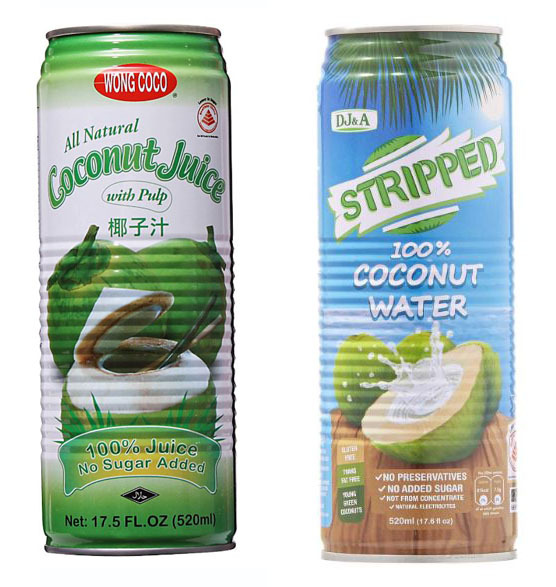 Packaged coconut juice are either pasteurised or from concentrates so both methods will lose some nutrients in the process of repacking them for longer shelf life. For me, I rather not have to cut the husk of the coconuts. If you are mindful of the sugar level, Stripped's coconut drink Tetrapak version is in a less concentrated form. For me, just as long as it's natural sugar that comes from the coconut and not sugar added, it's acceptable for me. Healthy snacks and healthy drinks, are you trying your best to improve your lifestyle? This is not a sponsored post and first appeared on SimplyJesMe.